Water is being pumped out of the dam for a full irrigation season so crews can make repairs. Four years ago, a sharp-eyed fisherman first noticed something was wrong at Utah's Steinaker Dam and Reservoir in Northeastern Utah. Bureau of Reclamation managers wasted no time in checking it out. "Any time you see anything change on a dam, that is cause for concern," said Paul Christensen, assistant area manager of the Bureau of Reclamation Provo office. "Something like this is fairly significant. It always raises flags and we go into enhanced monitoring." What they found was a landslide approximately 350 ft. wide by 50 ft. long. The slide raised several concerns — that the slide not expose the interior of the dam and leave it vulnerable to failure and that it not block the dam's outlet making it impossible to drain water from the dam. 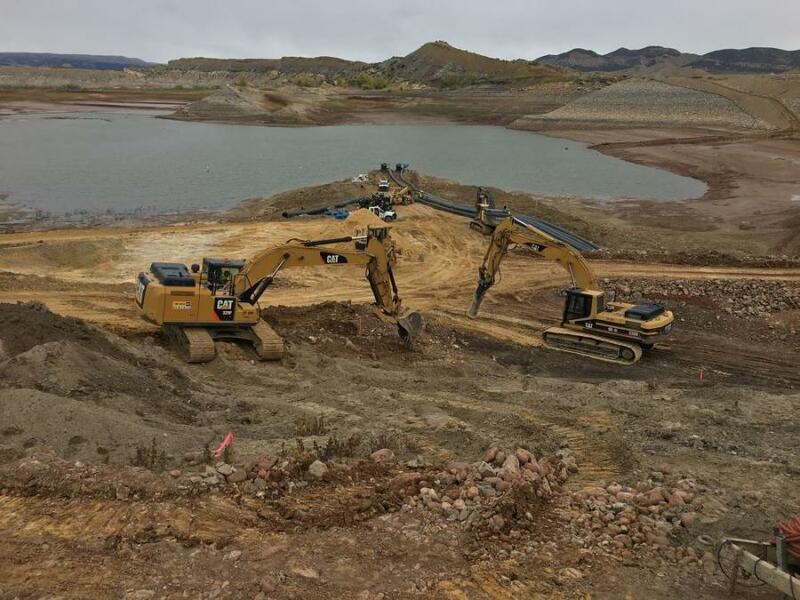 "When a dam that has been in place for 50 years starts to move, that is something that gets your attention," said Wayne Pullan, Provo area manager of the Bureau of Reclamation. 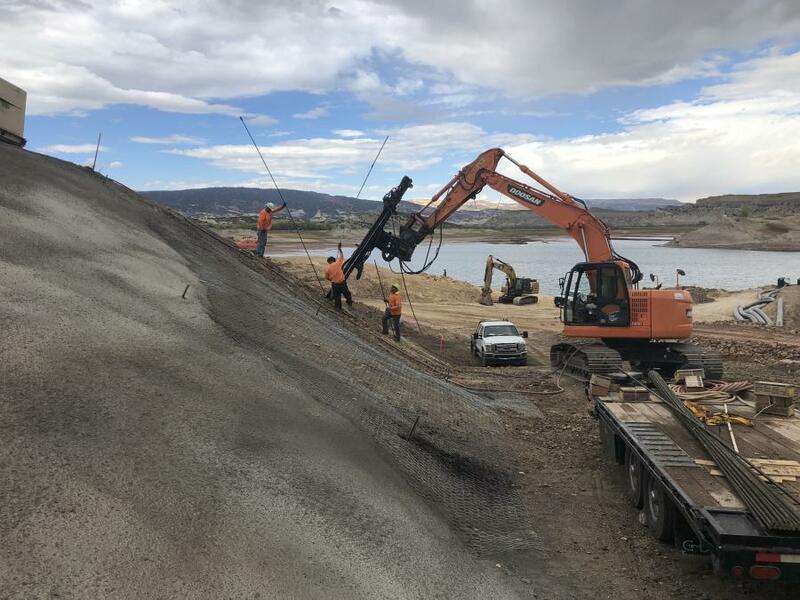 Engineers quickly went to work to design a fix for the dam, a project that calls for breaking down the rock faces on the abutments and then rebuilding the dam with a flatter grade. 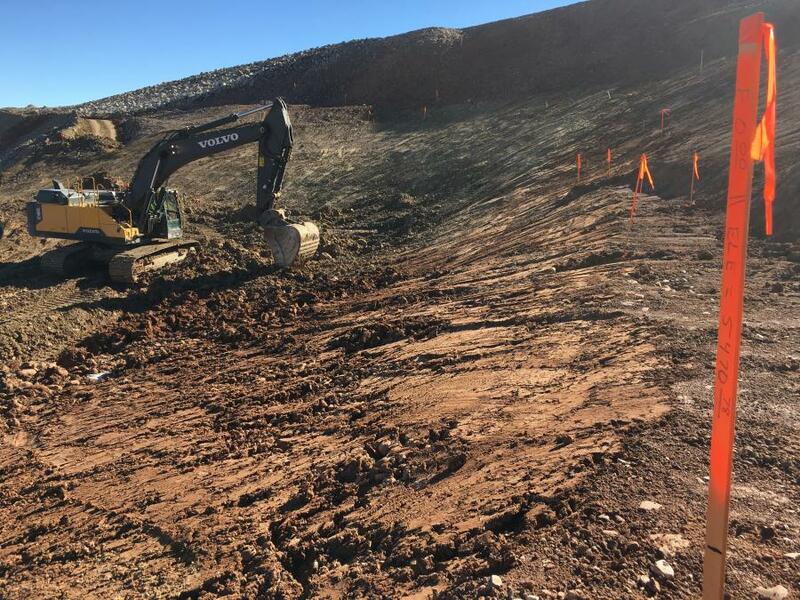 The Weeminuche Construction Authority (WCA), a tribal-owned construction company operating out of Towaoc, Colo., won the bid for the $20 million job. The first step was to pull the rock layer off, and stockpile the large cobbles and boulders for use at the end of the repair. A clay layer installed in the original construction to prevent water from moving through the abutments also must be removed. "As we remove the clay layer, working from top down, we are exposing the bedrock foundation on the right abutment and as you expose the bedrock, it's important to protect that bedrock foundation from potential degradation due to water and air," Christensen said. 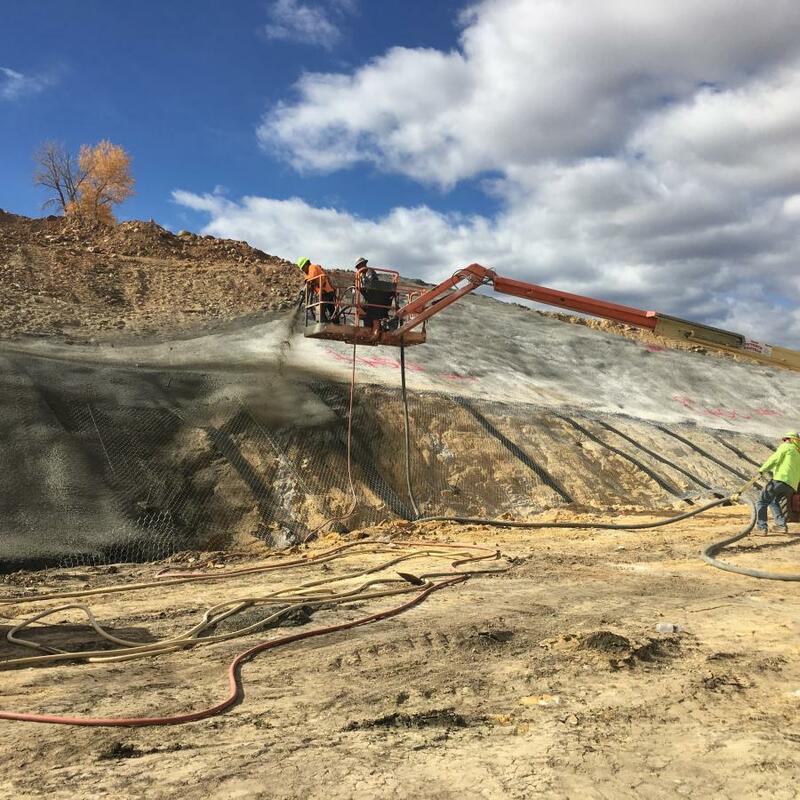 "As the clay is removed and bedrock exposed, we treated the foundation with shotcrete — pneumatically applied concrete. "The work to come is to rebuild the embankment over the abutment which will include a flatter slope. We're replacing the clay layer over the bedrock, but also adding a layer of a coarse soil material that's compacted and acts as a shell over the clay. That is what is going to allow us to flatten the slope and then we'll replace the rip rap." Managers aren't sure what caused the slide, though they believe several heavy rain storms may have started the slide. he construction schedule shows the concrete work for the outlet works extension taking place into the spring of 2019. The construction of the new face of the right abutment will begin in the late spring of 2019. 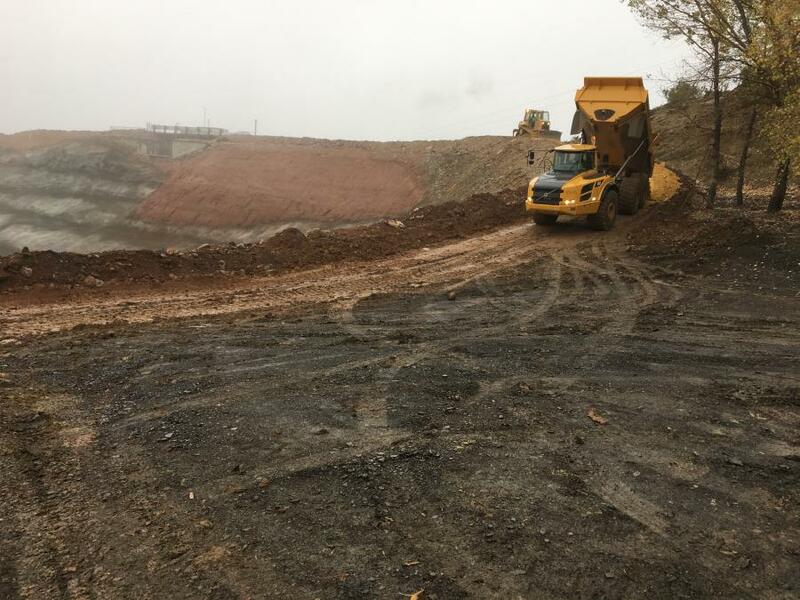 Reclamation and Weeminuche Construction will work year-round until approximately 2020, when Reclamation expects the repair work to be complete. "The schedule of the project is largely driven by the reservoir operations, trying to minimize the impact to water users," Pullan said. "We have had to drain the reservoir entirely. Typically, the best time to do any work is when it has minimal impact on irrigation and that is generally fall to spring. To make this project work, we have to keep the reservoir drained for one whole irrigation season. The Uintah Water Conservancy District has been very cooperative, and great partners in helping facilitate the work. We will have one season without water from the reservoir. We're trying to fit everything into as short a window as possible. They will have sufficient water in spring and summer, if mother nature is good enough to send a good rain year." The dam repairs are considered part of the Safety of Dams (SOD) program, with 85 percent of the cost covered by the Bureau of Reclamation. The local water users pay 15 percent. "When you build a dam, you build the best dam you know how to build and it has all the bells and whistles," Pullan said. "As time goes by, you have higher standards. This is really a good example of federal and local partnership in the construction and maintenance of those facilities. When we talk about dam safety, the public should be concerned if that dam is safe. 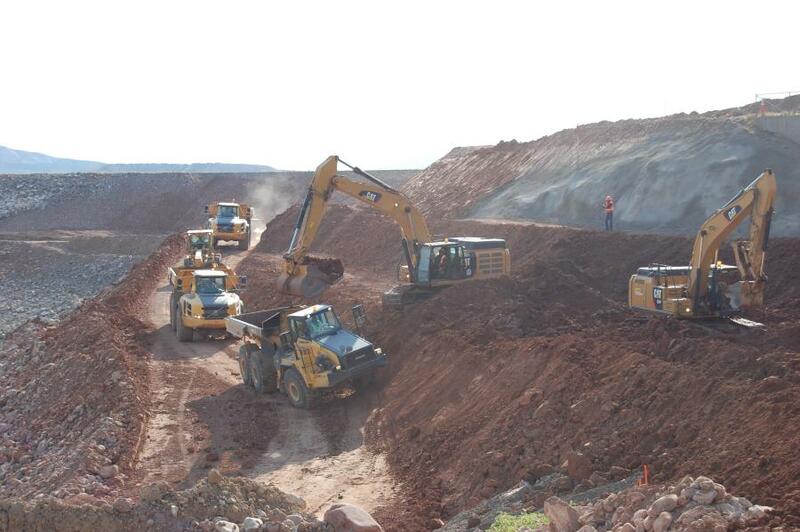 After this project is completed this dam will be safer than it was to begin with."